1. Isn’t it better to put PEA additives in the engine oil to combat gdi intake valve deposits? Since fuel doesn’t touch the back of the valves anymore, as fuel does in ported injection. PEA additives are designed to work in the fuel while the motor oil has a completely different detergent-inhibitor system. PEA additives added to the gasoline do work well preventing and cleaning up deposits on direct injectors. The oil is important when maintaining GDI intake valve cleanliness. Use the manufacturer recommended viscosity grade and quality. These engines need the proper oil formula to maintain intake valve cleanliness. The wrong oil can volatize due to engine heat forming vapors that enter the fuel delivery system through the PCV line. These oil vapors hit the hot intake valve surfaces and char forming carbonaceous deposits. Extended oil drain intervals also contribute to the deposit problem. 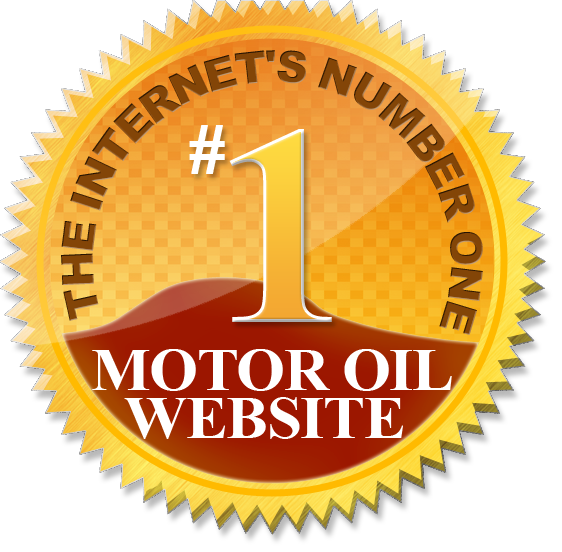 The basic preventative is to use the proper oil and change it on schedule. Our Gumout® Multi-System Tune-Up has an oil detergent and can help remove and prevent gum and varnish build up in the oil; however, we do not have information on how this removal impacts the intake valve carbon deposits. Multi-System Tune-Up does have PEA as well and can be introduced via vacuum intake system to help remove carbon deposits on intake valves in direct and port injected systems. Also, Gumout® GDI aerosol valve cleaner can be sprayed through the throttle body. This delivers a solvent/PEA detergent rinse to GDI valve deposits to loosen and remove them. Is this something that is best used as a preventative measure such as every 12,000 miles from new? If it has not how often would you use the cleaner on an engine that has high mileage and has never had a cleaning? Use GDI intake valve spray aerosol regularly to help keep deposits from growing. Some vehicles’ engine designs have a higher tendency to develop deposits and may need to be treated every oil change while others may require a treatment only once a year. Driving habits, environment and type of fuel used all impact the level of build up as well. While this product is a good solution to restoring lost performance in fuel systems that have significant carbon build up, the key is to regularly maintain your fuel system to keep deposits from forming in the first place. Would an oil change be recommended following use of this product? Here I am thinking of the possibility of carbon particles etc. being flushed into the engine’s oil. Blow by, where solvent moves past the piston rings and enters the oil is possible whenever a large quantity of solvent is introduced into the engine. This may be a problem with older, worn engines. When in doubt, change the oil. 2. I see the before/after picture on the product can. Were other pictures demonstrating product effectiveness taken? If so could these be shared? Since the cleaning takes place well into the engine, pictures are limited, but the intake valve images on the can are actual before and after results and illustrates the cleaning effectiveness of polyetheramine/PEA. 3. Thanks for this opportunity to ask questions! Is there any possibility that discrete carbon particles will be dislodged by this treatment and end up damaging cylinder walls and/or elements of a turbocharger? Carbon and other deposit particles are softer than the metal surfaces of an engine, so damage is unlikely. We have not seen any evidence of damage. 4. If something that is recommended for use in the engine oil (like some Gumout dual-use products are) has PEA in it, what is the potential that it will flash and make its way to cleaning the valves? Is there sufficient mechanical action just from PEA vapor and air movement to clean the valves? What would a typical flash rate/time be for a full in-oil treatment to fully come out of the oil through the PCV system, in a typical 5 quart sump with an oil temperature of approximately 100C? Most evaporation of volatiles will happen within the first hour or two. While the oil detergent found in our Multi-System Tune-Up can help clean up and prevent deposits in the crankcase, we currently do not have testing results that show any cleaning effect to the intake valves from the vapors that pass through the PCV valve. For intake valve cleaning, use either the Gumout Direct Injection Intake Valve Cleaner aerosol sprayed past the throttle body or use Gumout Multi-System Tune-Up through the vacuum intake system. These methods deliver an undiluted, full strength dose of cleaning agents to the intake valves and ports. 5. If an aerosol is used, is it allowed in turbo engines? It was my understanding that the use of solvents to remove carbon deposits can result in small, hard bits impinging on turbo blades and vanes, causing damage. hese days many GDI engines do have turbos. We have not seen any problems using our aerosol products with these systems when used as directed. 6. Have you considered something like the old Marvel Mystery Oil reverse oiler to supply a continuous low dose of cleaner to prevent buildup in the first place? We do not currently have mechanical devices of this type, but we are always looking at new/different ways to help improve engine maintenance. We will make sure the BITOG loyal followers are the first to know when we do come out with anything new. Make sure that if you do use this type of device that it doesn’t void your manufacturer’s warranty. 7. GM recommends Chevron Techron because it has been a proven product. It also provides cleaning and a level of protection for fuel level senders. Does the Gumout product provide a proven level of injector/valve/cylinder cleaning and fuel sender cleaning as Techron? ll Gumout products have strong performance testing programs behind them and are safe for fuel sending units. Testing includes industry recognized lab and bench testing, fleet testing and when applicable, evaluating products in the tough environments found in racing. Certain sulfur compounds in fuel are the usual problem for fuel level senders. No Gumout products contain those added sulfur compounds. 8. Will Gumout GDI cleaner hurt MAF sensors if it gets on the strip? Because the PEA detergent does not evaporate completely, spraying it onto the MAF sensor may leave a thin coating. Since these sensors need direct exposure to the air stream, avoid spraying product on them to allow them to perform properly. 9. Will Gumout GDI cleaner clean the intake of port injected engines. I have a neglected truck I bought cheap with pretty impressive intake deposits and would like to try this on it. Yes, just spray it past the throttle body as for GDI engines. Try adding a complete fuel system cleaner to your tank as well, this offers a potent two-step cleaning that ensures your entire fuel system is cleaned. Our Regane, All in One and Multi-System Tune-Up products all have PEA in their formulas, so they are great to use in conjunction with our Direct Injection Intake Valve spray.